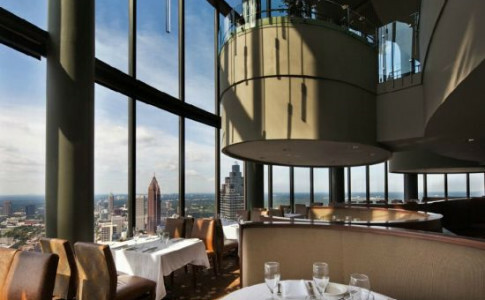 The Sun Dial Restaurant, Bar & View is Atlanta's only tri-level dining complex featuring a revolving upscale restaurant, a rotating cocktail lounge and an observatory View Level offering a breathtaking 360-degree panorama of the magnificent Atlanta skyline. 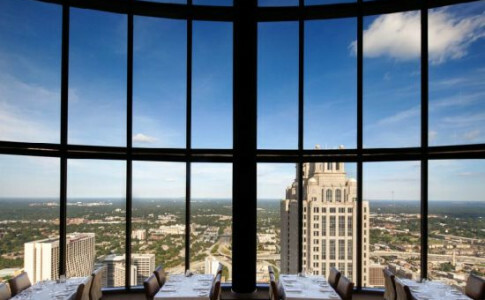 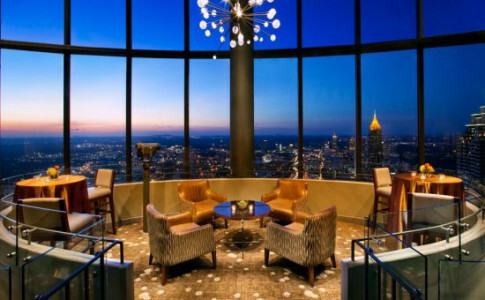 An Atlanta tradition, thousands of locals and tourists board the scenic glass elevators each year to climb the hotel's 73 stories to The Sun Dial for its unbeatable views, classic cuisine, live jazz and relaxing ambiance. 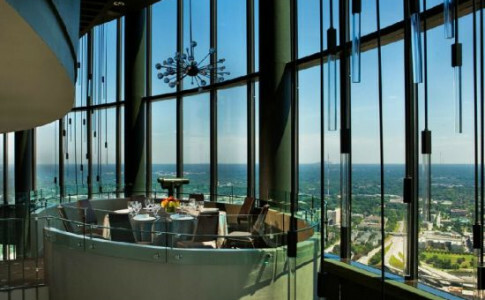 Situated 723 feet above the city, The Sun Dial's diverse menu offers Chef Jason Starne's seasonally-influenced contemporary American cuisine including lunch, dinner and Sunday brunch. 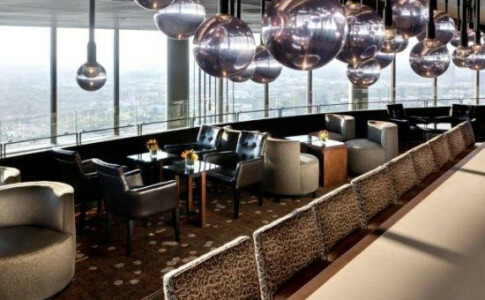 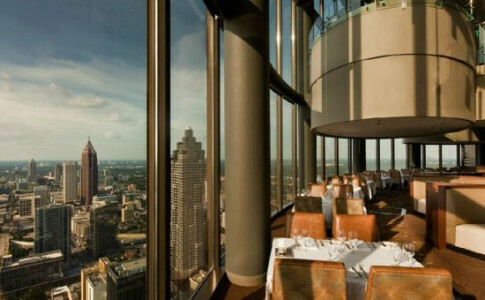 With spectacular views, tantalizing menus and live jazz to create the perfect ambience, The Sun Dial Restaurant Bar & View truly is the ultimate Atlanta dining experience.